The problem with total energy probes is they get blocked up, lost, sat on, you walk into them and they break. 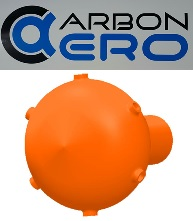 New from CarbonAero is a range of super light weight high performance woven Carbon rod total energy tubes with an aerodynamic florescent blunt head. This stunning new design which has been wind tunnel tested produces very accurate Total Energy pressure for your instruments. Available in 0.75m and 1m lengths for 15/18m and 2 seat/open class gliders as replacement tubes or as new fit. Different socket bore size also available for a perfect leak free fit. Knowing when you are in good lift is the key to gliding and an accurate and consistent Total energy source for your instruments is the best place to start. 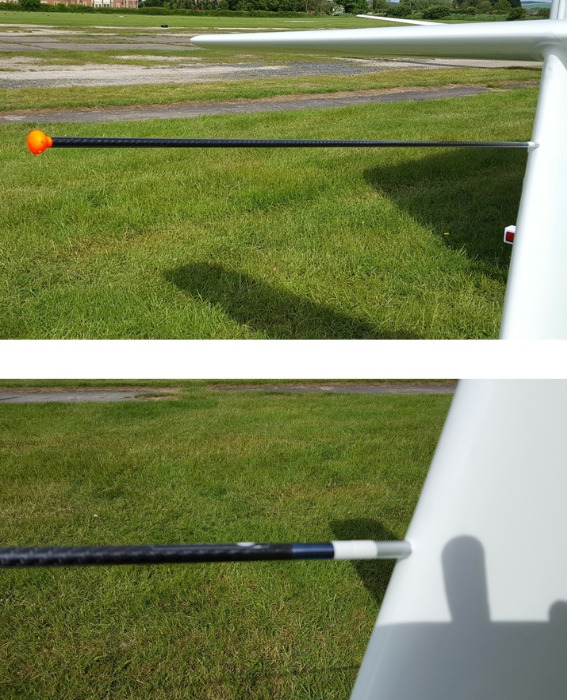 Will Ellis, one of the up and coming stars on the International gliding circuit has spent months perfecting the design of the new CarbonAero TE probe. 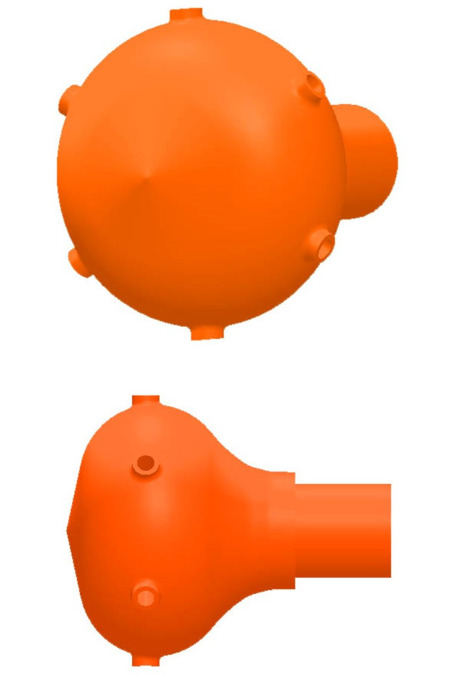 The design features low drag but smooth and consistent TE readings in all conditions. The unique shape, is very low drag despite its looks and is the key to delivering accurate pressure even when the glider is in turbulent air. Unlike other TE tubes, this design is not affected by excesive yaw, pitch or G loading. 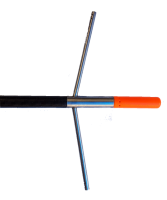 With both 0.75m and 1m versions, it is possible for owners of both 15m and 18m plus gliders to use the TE tube to sample the air away from the influence of the fin and tail boom and typically much closer to the static ports on the tail boom. Weight is also a significant factor as is stiffness. All of the Carbon Aero TE tubes are made of high strength very stiff and super lightweight (from 32g) woven carbon with milled titanium plugs for your existing TE socket. A consistent seal is provided by two ‘O’ rings at each end of the TE tube plug. Will it fit your aircraft? Surprisingly there are many different TE socket bore sizes even amongst the same glider manufacturer and model so to ensure you get a perfect fit, we have a set of test plugs of different size diameter and length test plugs which we will send you and ask you to let us know which one fits perfectly. We will then mill your TE tube plug to fit your TE socket and send you a TE tube that will fit first time.